Posted November 14, 2018 by Andrea Laford & filed under Headlines, News. 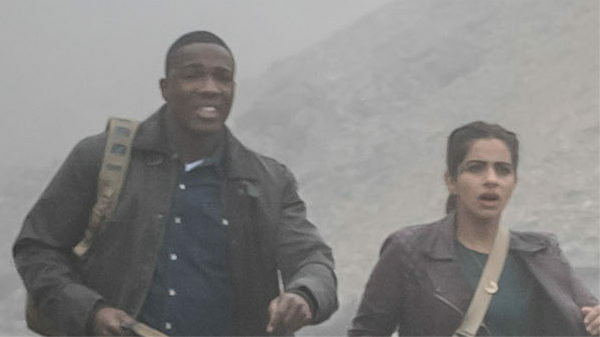 The tenth and final episode of Doctor Who Series 11 is titled The Battle of Ranskoor Av Kolos. 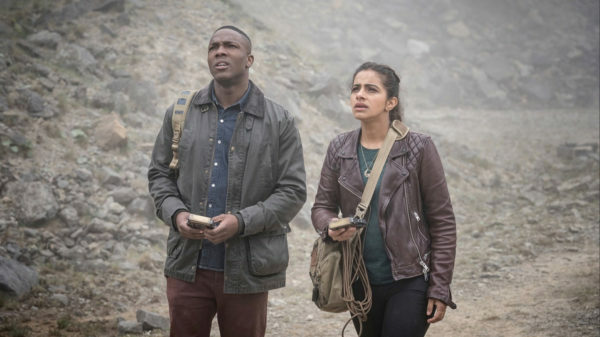 The Doctor and her companions receive nine separate distress calls, all originating from the mysterious planet of Ranskoor Av Kolos, which turns out to have been the site of a terrible battle. As further secrets are uncovered and strange forces gather in the mists, the only clue to what has happened on this world is a commander who has no memory. 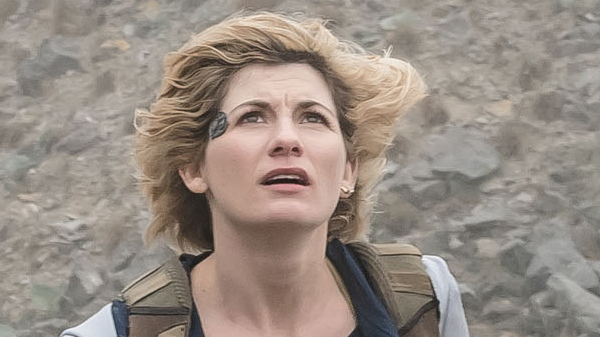 Some scenes from The Battle of Ranskoor Av Kolos were glimpsed in the two Series 11 trailers. 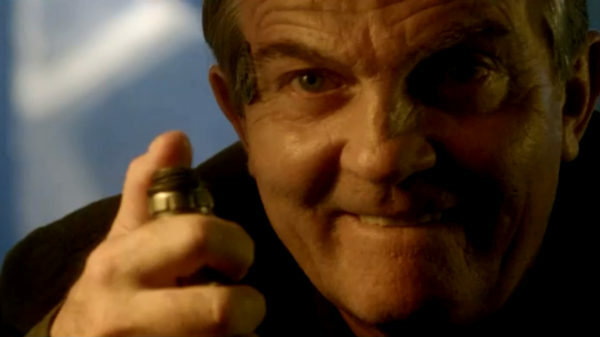 The episode involves some technology attached to the side of many of the character’s faces. 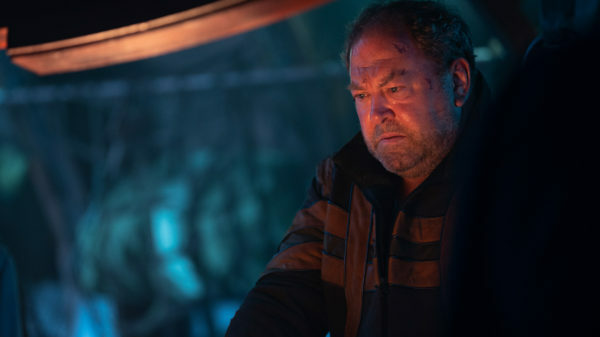 Mark Addy, Jan Le and the regular cast were also spotted in production stills accidentally posted online. 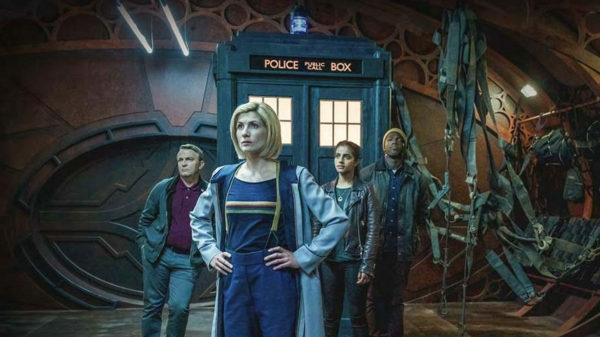 All four of the regular cast sport leather satchels with shoulder straps and, with the exception of the Doctor, are carrying rectangular pieces of electronic equipment slightly larger than a mobile phone. 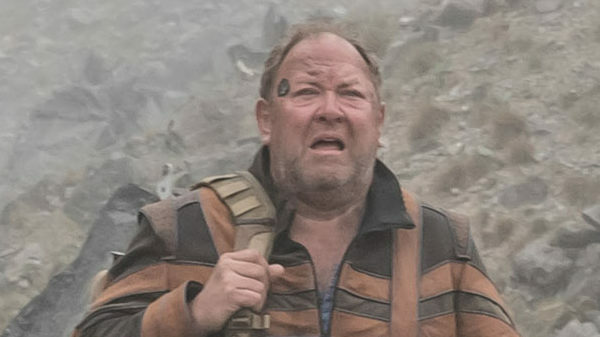 The scene seems to have been filmed in a gravelly quarry. What looks like a wrecked jet engines appear in the foreground on the left in one of the photos. 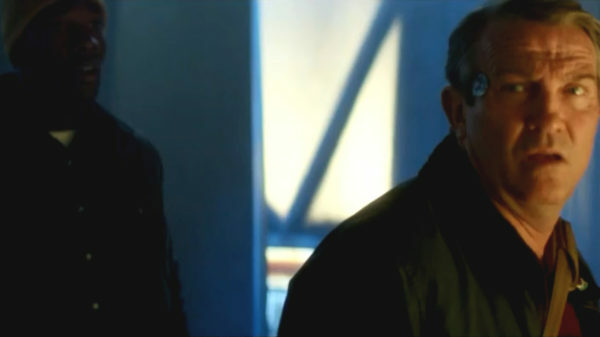 Jan Le appeared in Ben Blackall’s portfolio dressed as a hostage. 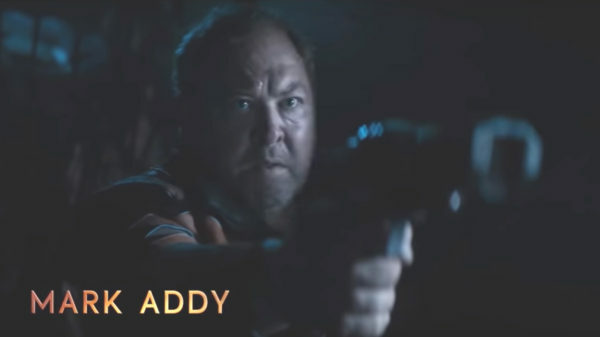 Several extras were hired to play hostages for this episode. 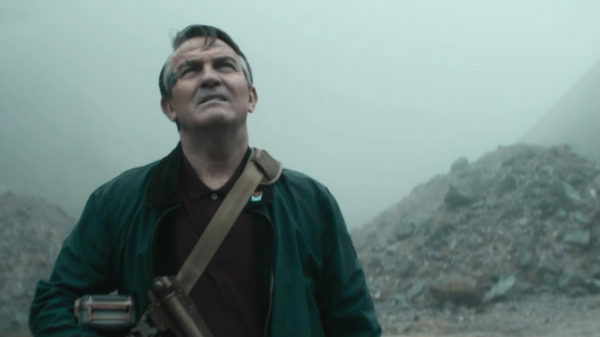 A good deal of the filming took place in Trefil quarry in Wales. 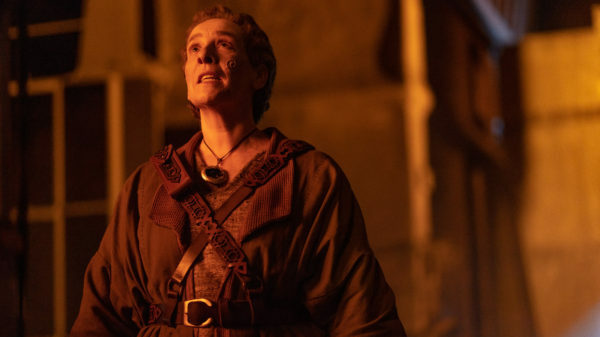 The Battle of Ranskoor Av Kolos airs on Sunday, December 9, 6:25 p.m. on BBC One and 8:00 p.m. on BBC America.